2. 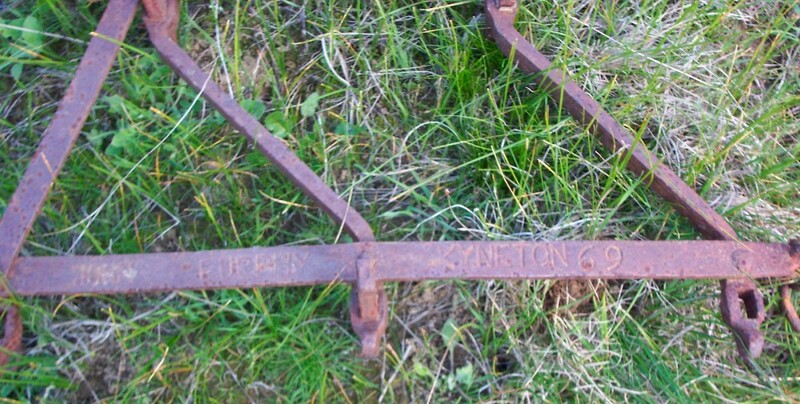 "The First Hundred Years - J Furphy & Sons - "Looking Back" 1873 - 1973"
Spanners marked Furphy are hard to find - possibly because of the huge collector base associated with this compny, second only to H VC McKay in this country. 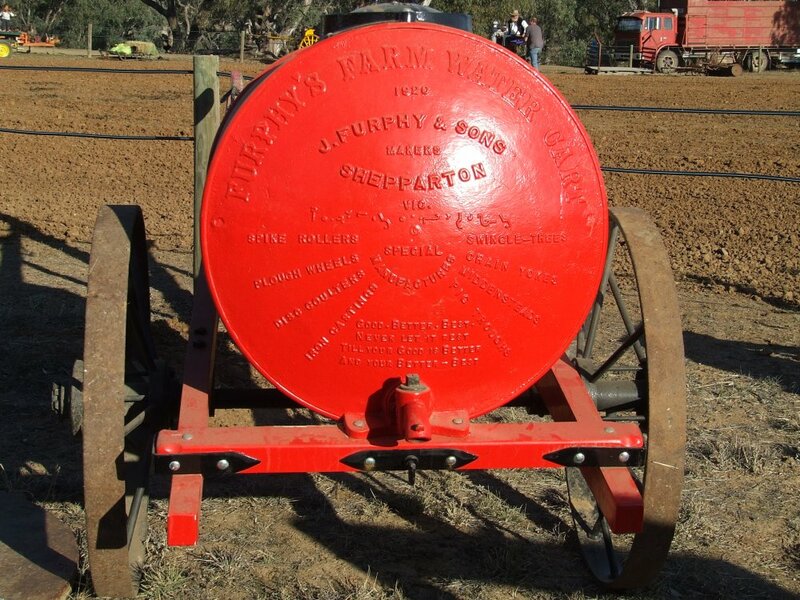 Perhaps the most noted product from the company was the Furphy Water Cart. First made between 1878 - 1880 - "The watercart was in itself a complete invention of John Futphy(ref 2). By 1889 Furphy's Stripper, furrow plough and iron swingle trees were given the highest awards at the Centenniel Exhibition. See pic of a water cart below.. Thanks go to the various people who made Furphy items available for these pictures. In particular Brendan O'Keefe and John Hay who were happy for me to take snaps of their spanners. If any other people can supply information or pictures of Furphy stuff - please make contact on the link below.